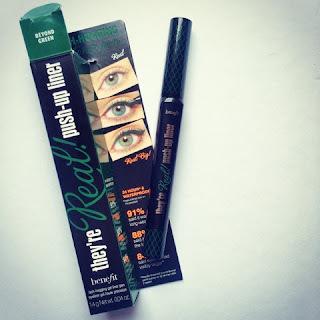 I got my Benefit They're Real Push-up Liner in Beyond Green through the post on Saturday and couldn't wait to show you guys so much that I threw on a full face of slap so I could do a first impressions video! I then stupidly deleted the video. I spent a lot of time trying to retrieve it but had no luck, so instead I thought I'd cut my losses short and write up a blogpost instead! 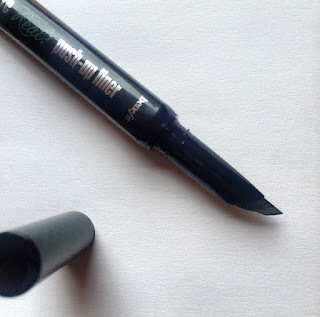 As an avid Benebabe who loved the original Push-up liner, I had to get my hands on one of the colour liners! They come in brown, green, purple and blue and I decided to go for the Beyond Green colour. 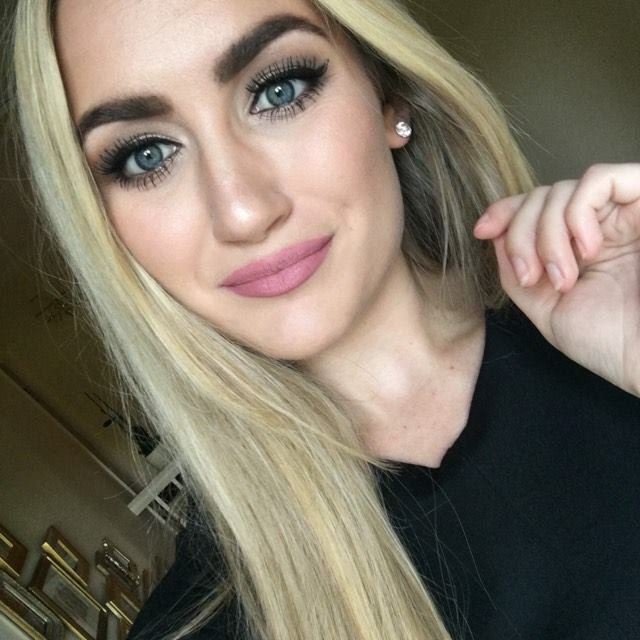 I'm not sure why, I just really love green eyeliners! I was tempted by the blue and purple as well though and after buying this one, I will probably end up buying the other two colours anyway! The liner itself is exactly the same as the original. The "AccuFlex" tip is the same and makes for really easy lining. If you struggle with winged eyeliner (join the club) then this liner is something that may be worth testing. The rubber tip is soft on the eye and very precise. I like to make sure there isn't too much product on the nib to avoid making a mistake. I just turn the bottom until there is a thin layer of product on the nib and then use it as I would a pen. The gel formula itself is fabulous. It doesn't budge all day and the colour pay off is great, it doesn't fade at all. You do have to use a proper eye makeup remover to take it off though. 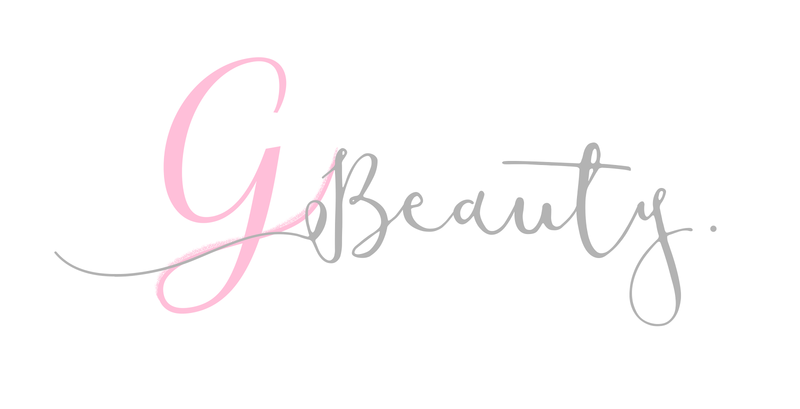 I struggled with micellar water! The colour itself is a little bit darker and more emerald than I had thought it would be. Although this was a negative at first, but then I realised that it's actually much more wearable being darker. 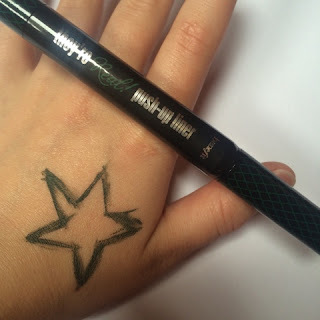 Rather than it being a "pop of colour" type of product, it is actually just a really wearable eyeliner that happens to be a dark green. The price of the product is £18.50. For the original black colour, I think it is completely justified. But coloured liners are much more subjective and you do run the risk of spending a lot of money on a product you may only wear every once in a while. There aren't that many gel liners out there that are colourful so if this is what you're looking for, then fab! But if you're looking for a bold bright coloured eyeliner for a particular event, then I would just stick to getting a cheap eyeliner. Hope you enjoyed and let me know if you like the eyeliner and what colour would you go for!